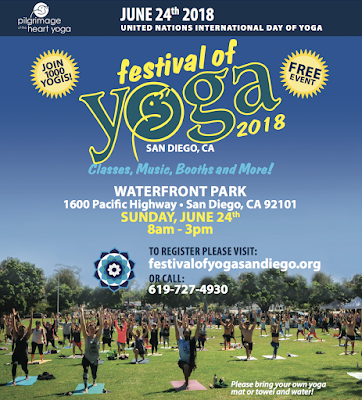 The free-to-attend San Diego Festival of Yoga will bring the namaste to Waterfront Park on Sunday, June 24, fron 8am-3pm, with complimentary yoga classes, meditation, live music and a yogi-inspired marketplace in celebration of the United Nations International Day of Yoga. The San Diego Festival of Yoga is a free community event featuring two large community community classes taught by Danni Pomplun & Yoga One's Amy Caldwell, as well as over a dozen breakouts perfect for yogis of all walks of life. There will be a marketplace of conscious vendors featuring everything from essential oils to yoga apparel, a wide range of food vendors and a Reiki healing clinic presented by Shawna Schenk & the San Diego Yoga Festival. There will also be 100 mats raffled off to attendees courtesy of Prana Yoga. Local band Sister Speak will play a set of their music, as well as accompany a Yoga & Festival Attire Fashion Show. This event drew over 800 attendees last year, and with an expanded slate of offerings, more are anticipated to attend this year. The event's goal is to make yoga more widely accessible, and in that spirit, they have partnered with OG Yoga - a nonprofit focused on providing access to yoga and meditation to underserved communities - to create a donation option, of which 100% percent will go to OG Yoga. 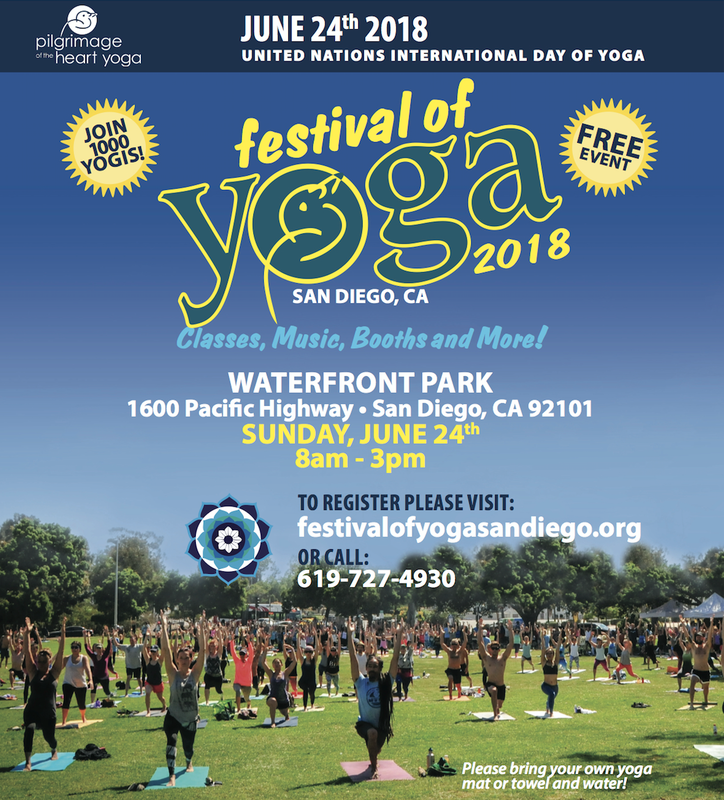 Learn more about San Diego Festival of Yoga by visiting festivalofyogasandiego.org and be sure to register for the event for free on Eventbrite.